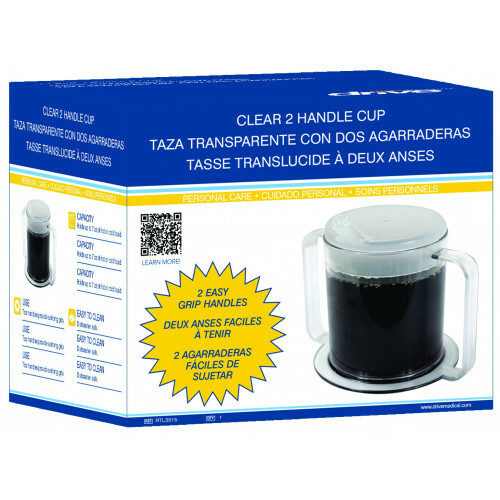 Drive Clear 2-Handle Cup is a Eating Assist Aid with anti-splash lid and spout to prevent spills. 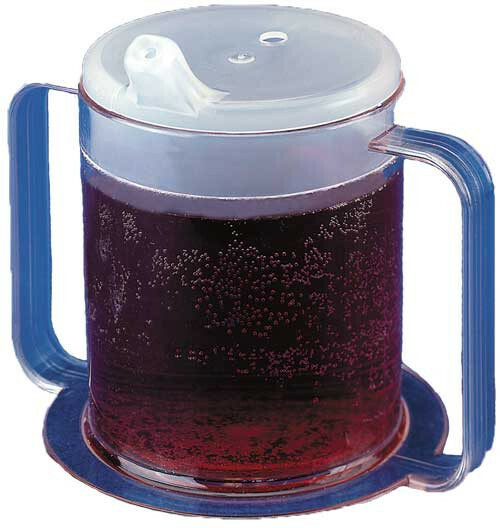 The handles on each side provide extra grip making drinking even and steady. 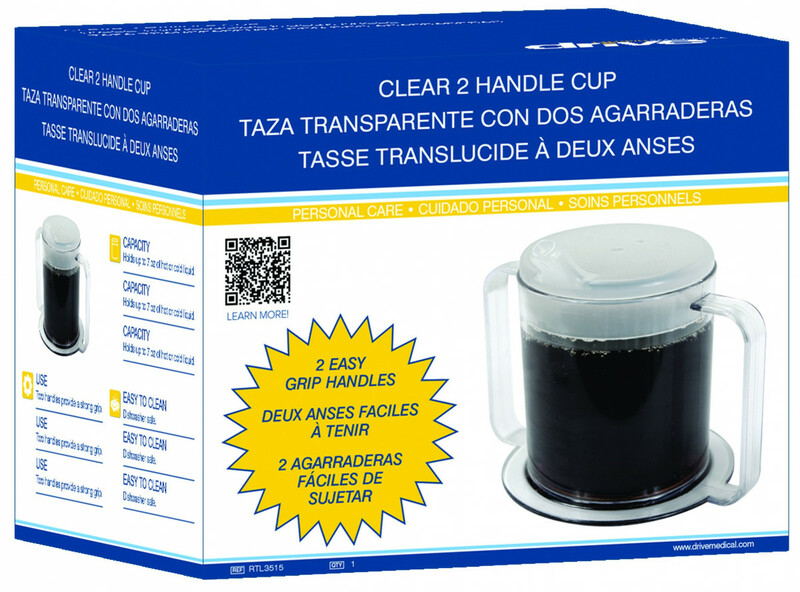 The 2-Handle Cup is made of clear polycarbonate so you can see the contents. This specialized cup holds up to 10 ounces of either hot or cold liquids and with its wide base design, it offers superior balance. After use it's nice to know it's easy to clean since its durable polycarbonate is dishwasher safe. Drive Medical offers a variety of eating assist aids. You may also want to check out Terry Cloth Crumb Catcher Bib that provides full coverage over the shirt and part of lap to keep clothing protected and clean during mealtime. Caregivers will love that it's also machine washable. It was supposed to work for hot and cold but it started to crack so I was afraid to use it after that. It's not worth the money I paid for it.